Thank you for choosing The REGNIER Group as your Real Estate Wealth Advisors to market your property to sell. Experience, efficiency, superior service, utmost discretion, privacy and integrity are the essential six pillars in providing “Outstanding Real Estate Services”. Standard is a unique marketing approach with attention to details that matter. From professional HDR photography and detailed property descriptions to cinematography & virtual property tours, your property listing will stand out as superior from everything else for sale in your market area. As marketing agents, it’s imperative to successfully target the right buyer for your listing. Buyers of today are searching online; we are dedicated to utilizing state-of-the-art online real estate platforms to help position properties just like yours to be “The Next SOLD”. Online tools include: Our Responsive Real Estate Website, Dedicated “Your Listing” Webpage, Robust SEO, National & International Syndication (photos and property details), Mobile Marketing, Online Prospecting Ads, Social Networking, Email Drip Campaigns, Open House Announcements, Drone & Videos, Hyper Local Online Marketing and more. Click Here to View Global Affiliations. Instantaneously & continually syndicating every listing to major real estate website and to over 50,000 websites around the world. Local – Illustrated Properties, a Keyes Family Company is the most successful independently owned real estate firm in Florida with $6 Billion in annual sales & revenue and more than double our closest competitor in sales price & volume in Palm Beach County. National – A top 25 rated national real estate firm. Global – Florida leads the United States in foreign buyers. We are a founding member and a top local contributor of Leading Real Estate Companies of the World. At $368 billion for 2016 sales volume, Leading RE is the largest network of real estate companies by over $62 billion to Re/Max and $108 billion to Coldwell Banker. Most complete online exposure in the real estate industry. Properties valued in excess of $1 Million Dollars are featured on the largest and most popular international search platforms. 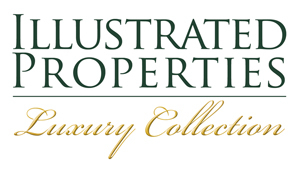 International affiliations with Luxury Portfolio International, Leading Real Estate Companies of the World ($360 billion annually), Who’s Who in Luxury Real Estate and Christie’s International Real Estate in specific markets. We maximize online exposure through the Wall Street Journal, LeadingRE.com, LuxuryPortfolio.com, MansionGlobal.com, Countrylife.co.uk (UK/Euro Audience), Juwai.com (Asia) to name a few. Your listing gets a fully customized responsive website that works seamlessly on mobile, tablets and desktop/laptop devices. The buyer of today is sophisticated, utilizes technology and must be engaged quickly. Your listing will be center stage and we respond quickly to all inquiries. We are “Marketing Agents” not here to just win your listing. Answer phone calls & return messages quickly. Results driven = No more broken promises. Clear marketing plan of action, unique to your property. Tailored and fully customized sales strategy. Local market expertise & market data for your neighborhood/community. Commitment to excellence, competence & superior service. Technologically advanced, detail oriented, responsive. Utilizing professional high dynamic range (HDR) photography & cinematography. Randall Regnier’s Education – Bachelor Degree in Real Estate.